You ever ask your students to discuss something with each other or to think-pair-share and then they um… don’t? At the start of the year, many of my students don’t know each other and jumping into academic discussions can be a bit jarring and anxiety-inducing for many students. If I want them to be able to discuss academic content with each other, they need to feel a bit more comfortable with each other, so in the first day or first week I like to do an ice-breaker/team-building activity – one that’s not too touchy-feely, since that’s not my thing. This activity, like most other ice breakers/team-building activities, can act as an energizer, as well as help build collaboration and serve as a background activity to discuss problem-solving strategies. It’s a pretty simple card-sorting activity introduced to me at computer science workshops on a couple occasions by Bob Luciano, computer science teacher in Swiftwater, Pennsylvania. Amazon link for cheap playing cards: https://www.amazon.com/Diamond-Playing-Cards-Regular-Plastic/dp/B016M352KQ/ or sometimes dollar stores may sell cards cheap. 1 stopwatch for the teacher (use your phone or google “stopwatch”). Have students shuffle their cards. Explain the goal and the rules. Tell students some groups may have felt frustrated but there will be a round 2. This time tell them they get a minute to strategize. Have students shuffle their cards again, then yell “Go!” and start the timer. Record times. Generally the class does better as a whole the second time. Want the directions on a PowerPoint? Click here. 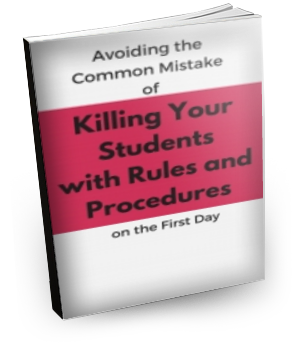 Connect it to growth mindset – understanding the rules better the second time around, the benefits of more practice, learning from mistakes, etc. Connect it to problem-solving – strategizing, trial-and-error, planning, learning from mistakes, etc. Connect it to teamwork – splitting up roles, helping each other, leveraging each person’s strengths, etc. I wouldn’t try connecting it to all of the above in much detail, since that’s a bit much. 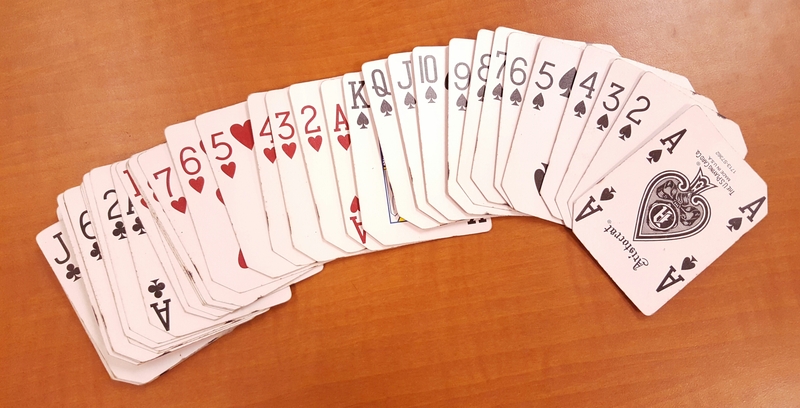 Some students are not familiar with playing cards and might not know how the aces and face cards are ordered. You might consider writing the order on the board (A, 2, 3, 4, 5, 6, 7, 8, 9, 10, J, Q, K), or first having students remove all non-numbered cards. However you run it, keep in mind your purpose – to build positive interactions between your students (students-to-students but also teacher-to-students), plus whatever other learning objective(s) you intended (problem-solving skills, growth mindset, etc. ).